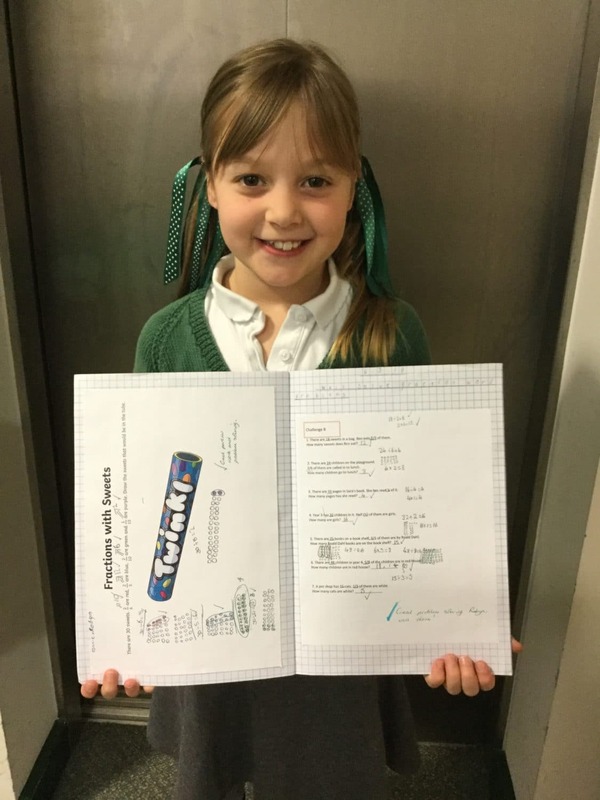 Robyn has worked hard to develop her understanding of fractions this term, from the basics to pushing herself to working on more challenging questions involving fractions. When it comes to finding 1/6 of a number, Robyn is confident that she needs to divide by six. She knows that to find a fraction of a number you divide by the bottom number and multiply by the top number. Importantly, she can explain to others that ‘this is because the denominator tells us how much to break the whole into and the numerator tells us how much of the whole we are talking about.’ Well done Robyn on developing your understanding, talk for Maths and your reasoning skills. You have shown great perseverance whilst solving problems involving fractions- you are fantastic!